As younger man I have to be honest and say that I wasn't a big fan of the foxtail lily, I saw them more of a poor man's lupin. However the scales have fallen from my eyes and the back garden is now home to as many foxtail lilies as I can find space for and the lupins have been relegated to the front garden. 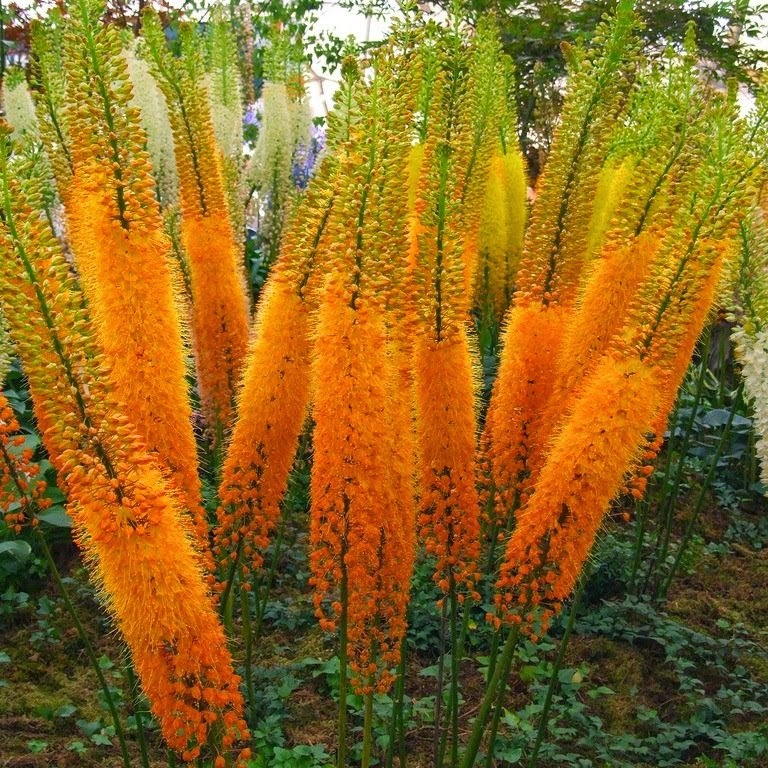 The foxtail lilies, also known as 'desert candles', are a group of 35-40 deciduous perennials from the Eremurus genus. Predominantly native to western and central Asia they are commonly found growing in the semi-desert and dry grasslands of the Tien Shan and Pamir Mountain ranges of Central Asia. 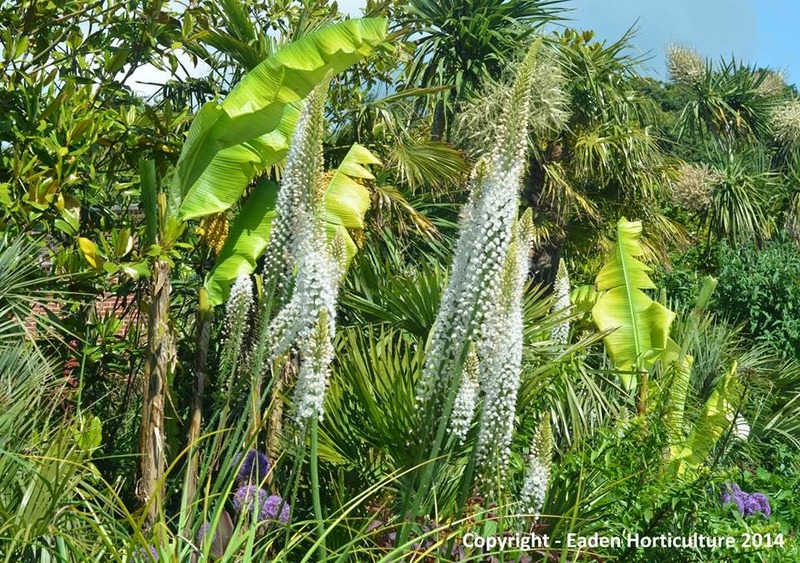 Foxtail lilies are coveted for their large flower spikes which appear from May until June depending on the species. Each flower spike contains hundreds if not thousands of tiny flowers which can range in colour from copper, bright yellow, snow white, pastel pink, orange or any combination of those colors. They also have the delightful habit of opening the flowers at the base of the spike first and rising in a 'ring of flowers' up the stem. 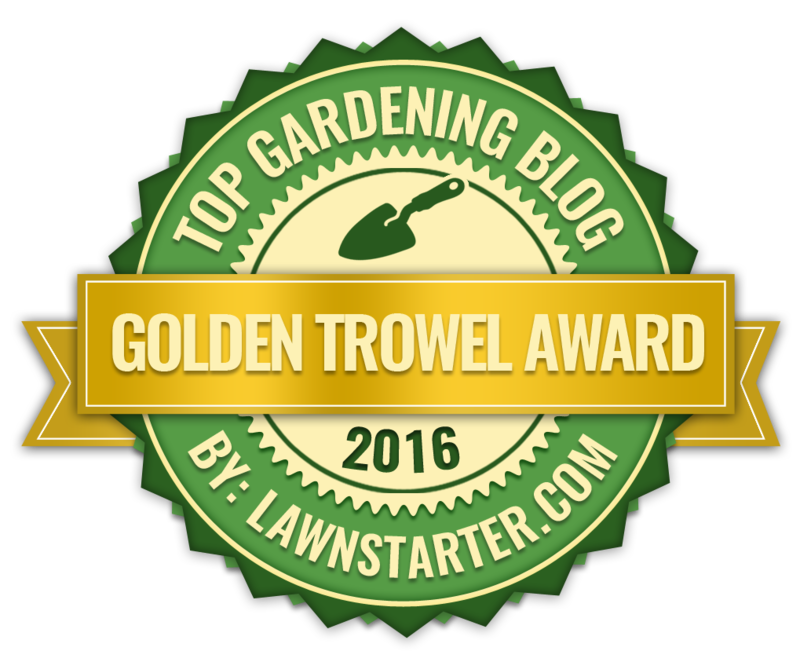 Although most gardeners would like to see nothing but ramrod straight flower spikes, it is also quite usual to see the flower spike twist and turn as they grow. Each flower spike can rise up to 10 feet in height, but again this will depend on the variety. 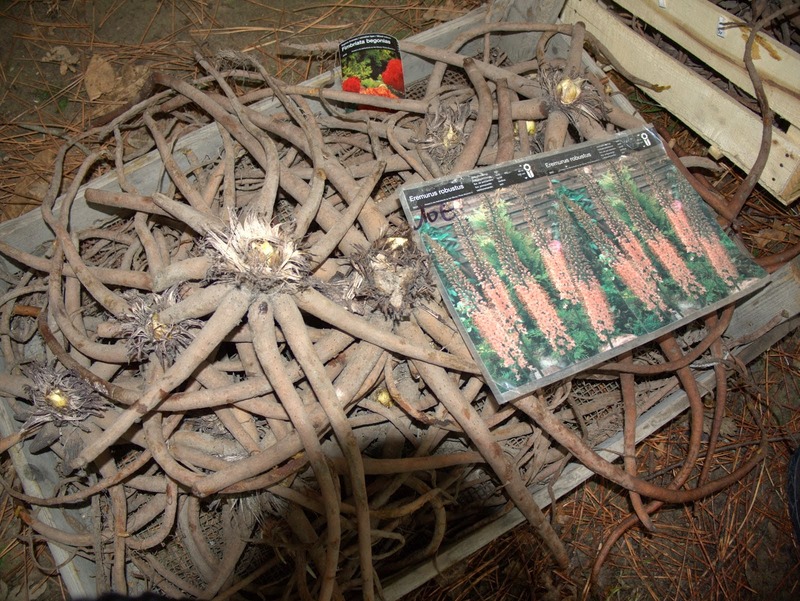 They are either purchased as pot-grown plants in the spring or as pre-packed octopus-like tuberous roots in the autumn. Plant pot-grown foxtail lilies in a well-drained soil, in a sunny position but preferably one which is not exposed to early morning sun. You will need to be careful of you are planting up bare-root foxtail lilies as the roots are easily damaged. Dig out your hole and the plant the roots on a cone of soil, with the crown on the peak and the roots hanging down. When planted the crown should show above the surface of the soil and should never be mulched over. Foxtail lilies are easily affected by winter root rot, so it can be worth either growing them in a raised bed or alternatively place a layer of sand or gravel at the bottom of the hole to ensure drainage. In cold regions protect the roots from frost by covering them the protection of mulch that stays fairly dry, such as shingle or bark.